I wanted to be sure you knew how much I appreciate your willingness to work late Monday so I could have surgery right away. I hate when my husband works late, and he does too! 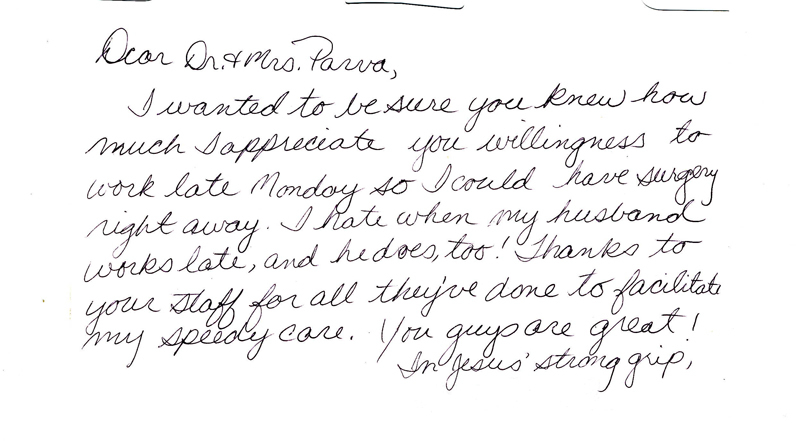 Thanks to your staff for all they’ve done to facilitate my speedy care. Your guys are great!